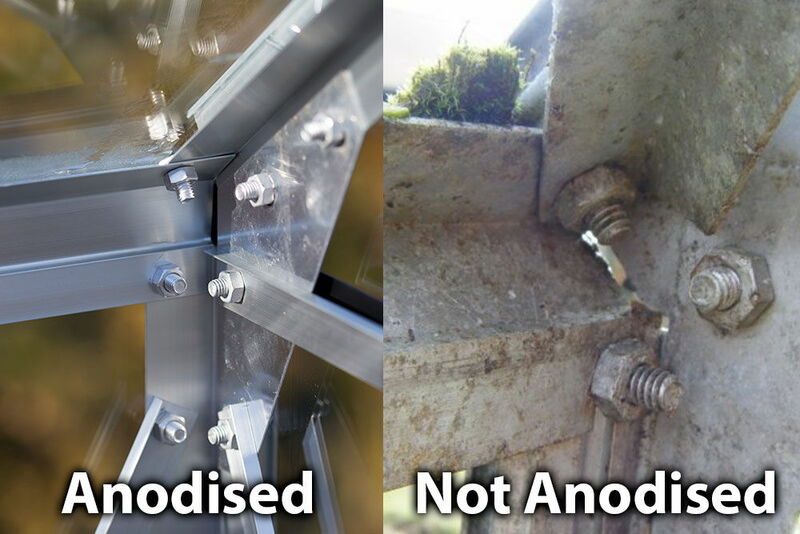 4mm Twin Wall Polycarbonate Glazing - Family Safe and Shatterproof. 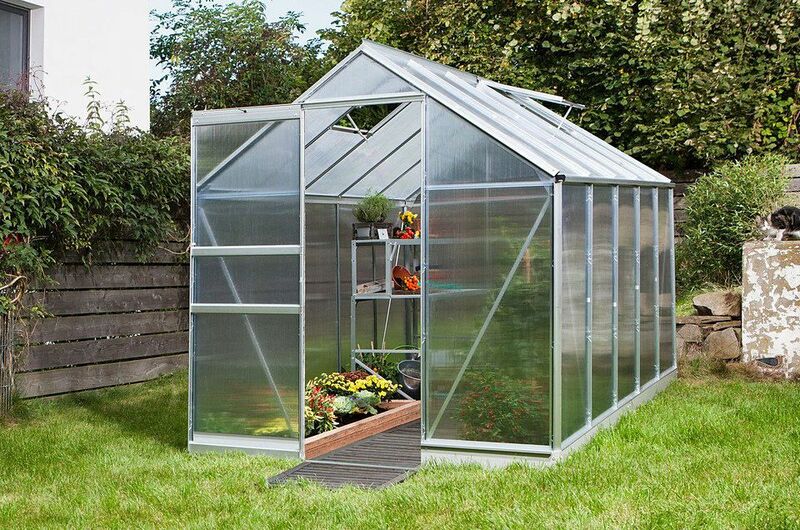 The Vitavia Apollo Silver 8x6 Greenhouse with Polycarbonate Glazing is the most widely used greenhouse size by gardeners in the UK. 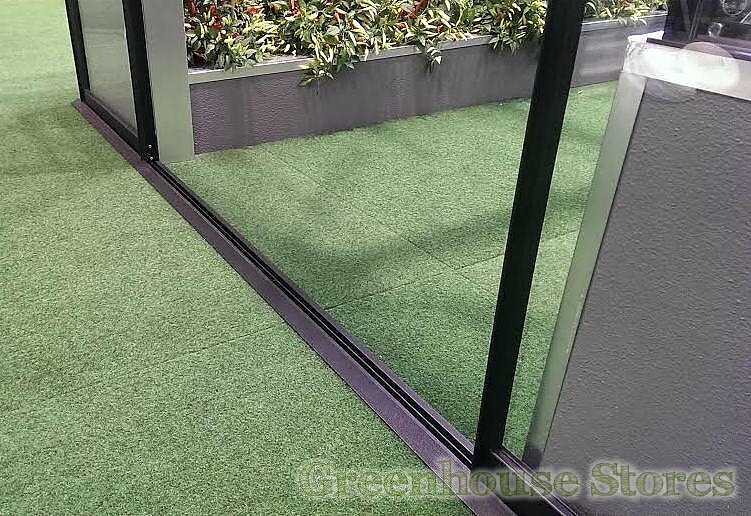 This model with polycarbonate glazing is the perfect choice for family gardens as it’s completely shatterproof and safe. Polycarbonate Glazing is the best choice for family gardens where small children and pets are racing around as it is shatterproof. It also provides fantastic insulation and shading from strong sun which can scorch plants leaves. This Apollo 5000 8ft x 6ft model has 1 opening roof vent for ventilation, a single sliding door that can be fitted to slide left or right as well as integral gutters.